1. 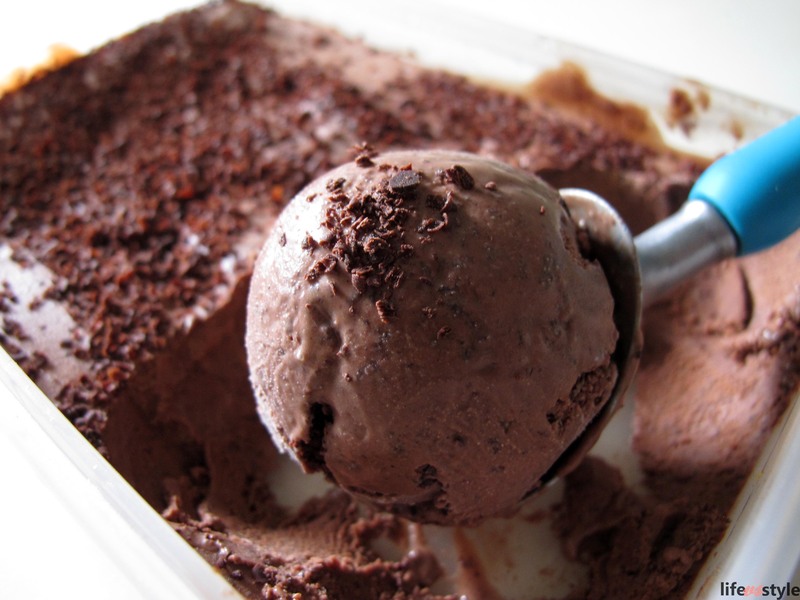 Melt the chopped chocolate in a double boiler and set aside. 2. Beat the egg yolks and sugar until pale and creamy. 3. Bring the milk and cream to a boil in a saucepan over medium heat. Pour half the hot cream mixture to the egg mixture, beat constantly. Return to the pan with the remaining cream mixture in low heat. Stir constantly until it coats the back of the spoon. Remove from heat. 4. Pour over melted chocolate and stir well. Allow to cool at room temperature. Chill in the refrigerator for 3 hours. 5. 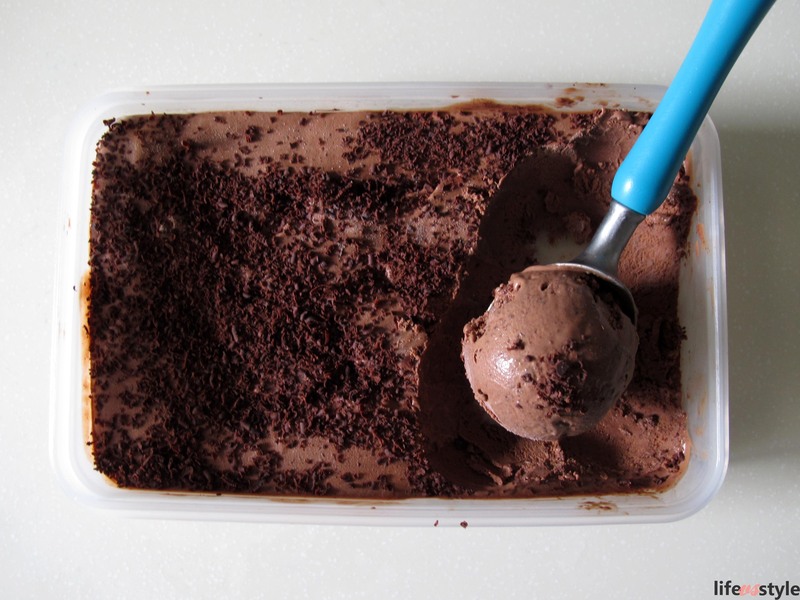 Transfer to an ice-cream machine, pour the chocolate chips while the machine is churning. Let it churn for about 20 minutes. 6. Cover and transfer the mixture to the freezer and let it firm up for about 3 hours. « Angelina is landing HK next week!